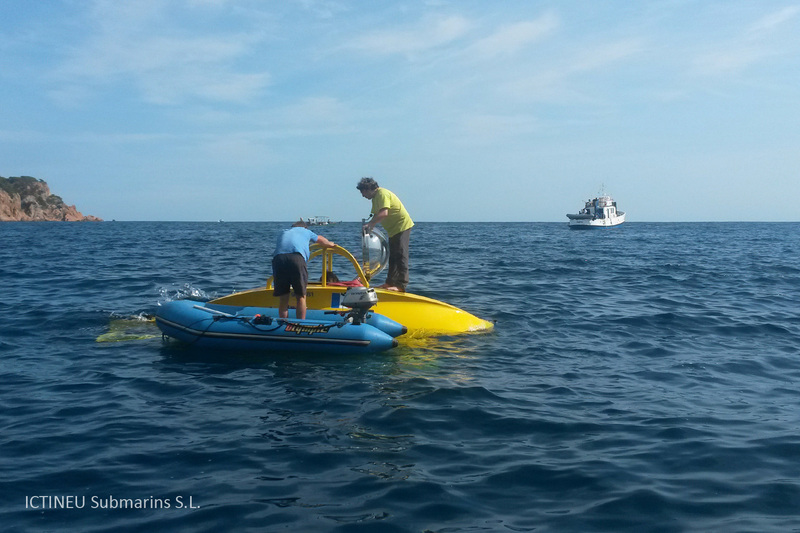 In the month of October 2016, The ICTINEU 3 was underwater diving in collaboration with the Centre d’Arqueologia Subaquàtica de Catalunya (C.A.S.C), in Baix Empordà, using the Sant Feliu de Guíxols Nàutic Club and the Port of Palamós as base ports, with support from the Museu de la Pesca , and General Nàutic of Palamós. 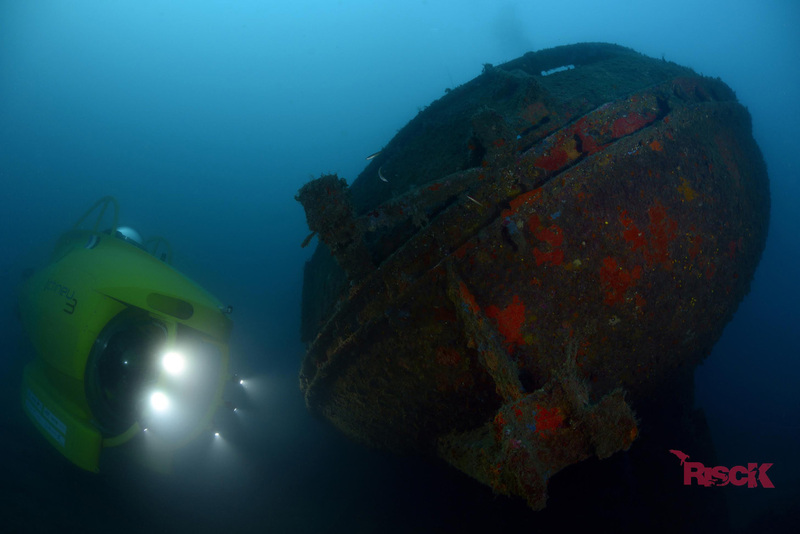 A total of 22 dives were performed at depths between 22 and 65 meters. 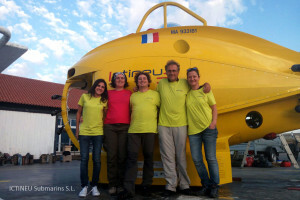 The ICTINEU 3 was for 67 hours in the water, 32 of which submerged, and covered more than 30km linear along the seabed. Twenty people, practically all scientists or professionals related to sea management, have been able to dive and participate in the exploration campaign. 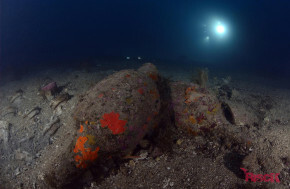 One of the tasks of the ICTINEU 3 was to go by submarine tours prospecting areas and depths that archaeologists considered most interesting, in which, the ICTINEU 3 helped locatating three new archaeological sites from Roman times, all of high value. We highlight a site that probably corresponds to the first half of the 1st century BC, belonging to Imperial Rome, of which there was news but in which archaeological work had never been carried out. 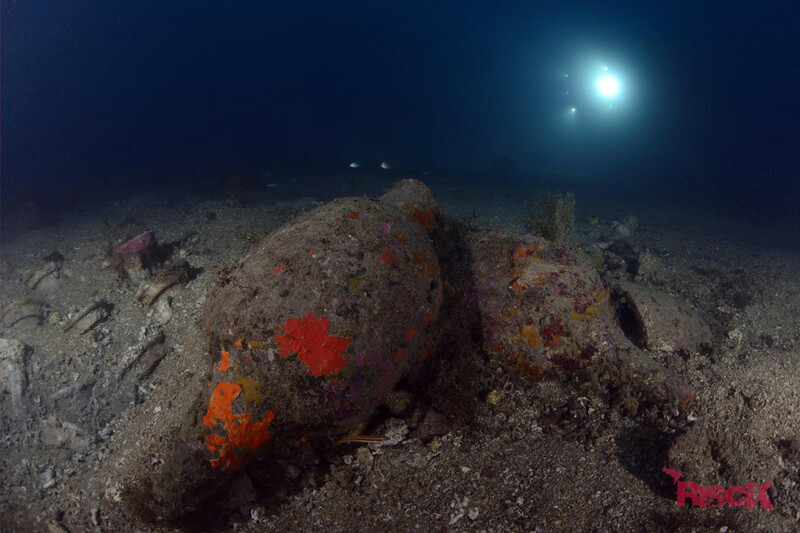 It seems to be a 15 meter merchant ship loaded with between 1,000 and 2,000 amphoras of “Garum” fish sauce, and it is considered the most well-preserved boat of this type in Catalonia. Because of this, took the opportunity to make a world record. 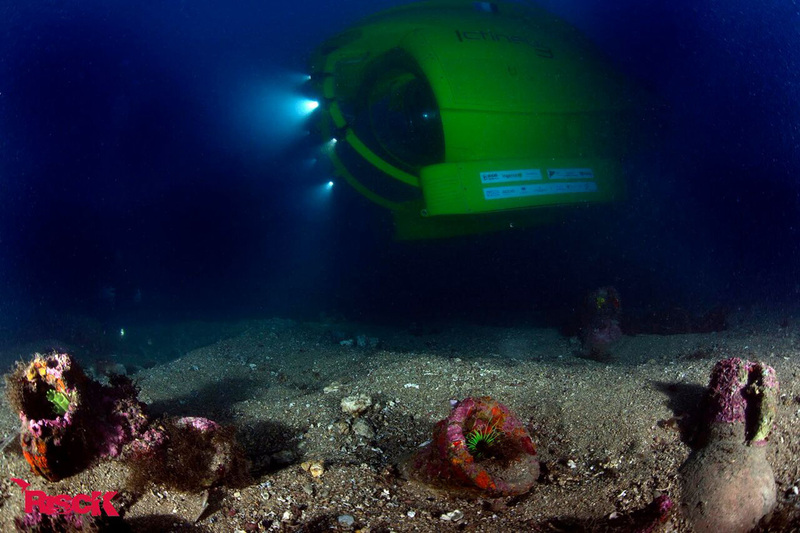 For the first time in history, a small scientific submersible, electrically propelled and with no external support, has been able to travel underneath the water a distance of 12 km, which separates the port of St. Feliu de Guíxols with Palamós. This historical milestone has been possible thanks to the ICTINEU 3 being one of the most advanced submersibles in the world. 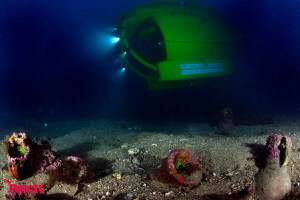 A very energy efficient vehicle, with highly efficiet hydrodynamic shapes, reduced weight and volume, and the best lithium battery system in the world that gives you 2 to 4 times more energy than other submersibles and allows you to travel more than ten times more distance. 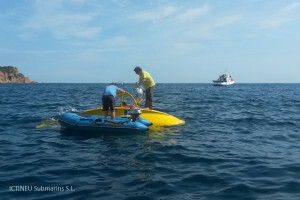 Although using the four engines at full power and the lights on during the entire trip, the ICTINEU 3 used only 45% of the batteries.